Utensils kept neatly on trolley. Realistic Hetty mop. Easy assembly. Little ones adore role play and pretending that they are doing jobs around the house – just like the grown-ups! 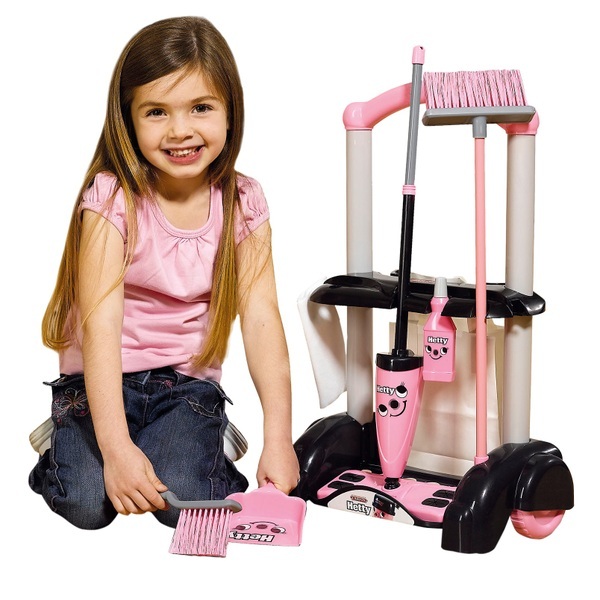 This Hetty Cleaning Trolley has been specially designed to be true to life, right down to the last detail so your little helper will really feel part of your world while developing essential life skills. Includes a hetty mop, a long handle brush, a dust pan, a hand brush, simulated detergent bottle and paper debris container.